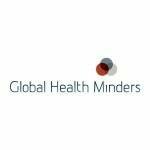 Join us for the Global Health Minders’ Annual Meeting Wednesday 24 June 2015 at 10.00-12.00. The meeting will be held at the University of Copenhagen, Department of Anthropology, Meeting room 16.0.30 (Building 16, ground floor, room 30), CSS, Øster Farimagsgade 5. Please let us know if you will attend the meeting by email to contact@globalhealthminders.dk no later than Monday 22 June. REGISTRATION: by email to contact@globalhealthminders.dk no later than Monday 22 June. Proposals that members want to submit for consideration at the meeting shall be submitted in writing to contact@globalhealthminders.dk by 10 June 2014. 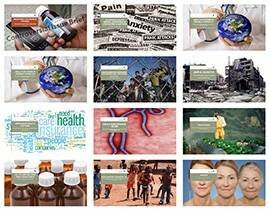 Our research-based Emerging Issue Briefs focus on important Global Health topics that are new and emerging or old and forgotten. 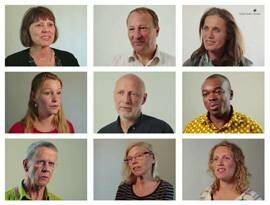 We asked eleven persons with interest in Global Health to share their thoughts, concerns and priorities. Here on our Blog you will find analysis written by our experts and relevant news and events in the field of Global Health. We invite contributions from Guest Bloggers. The views expressed are writers’ own and not necessarily shared by Global Health Minders or the respective institutions the writers represent. The Danish Society for Paediatric Infectious Diseases (DIPS) is organising an international symposium on 2-3 October 2015 at Comwell Klarskovgaard, Korsør. The scientific programme, and registration form can be found at DIPS’s homepage. Established in October 2011, DIPS is a society for Paediatricians, Physicians, Academics and other healthcare personal who have an interest in Paediatric Infectious Diseases (PID). The purpose of the society is to promote education and research related to PID. An article at www.nature.com titled After years of second-class status in research partnerships, African scientists are calling for change by Linda Nordling, discusses the important issue of equality in research. The Nairobi Industrial Court agreed that six Kenyan doctors in an international research partnership had been systematically passed over for promotion and training, whereas their European colleagues had flourished. It was also perhaps the first time that African researchers had so strongly — and so publicly — voiced resentment of their perceived second-class status in partnerships with foreign colleagues. African scientists say that they often feel stuck in positions such as data-collectors and laboratory technicians, with no realistic path to develop into leaders. Read the article Africa’s fight for equality. The combination of pharmaceutical companies and global health invariably makes one think of the huge lack of access to medicine in low- and middle-income countries (LMIC). Drugs are either not affordable, not available at all, only available intermittently due to frequent pharmacy stock-outs, of poor quality, ineffective, or they are counterfeit and may even be unsafe. Making quality medicine available, affordable, and accessible to all who need them is extremely complicated and requires a coordinated effort by many global health actors – including the pharmaceutical industry. In this need for collaborative solutions lies also the key to involving drug companies as a partner in global health. Download the brief on Big Pharma.